The Tally 4347-i10 dot matrix printers are well matched to IBM systems applications, with a wide range of connectivity compatible with most IBM printers. The Tally 4347 printer series includes two great serial multi-form impact printer models, the 4347-i08 and 4347-i10. 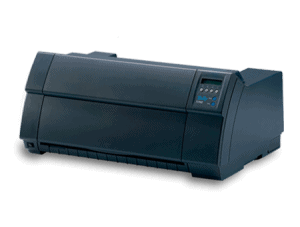 Each 4347 dot matrix printer provides high throughput print speeds, tough durability and mission-critical performance under the harsh conditions. Look to the Tally 4347 dot matrix printers to deliver crisp, dark, clear and legible print due in large part to the performance of the 24 pin print head.